LOUISVILLE When was the last time you saw a Kentucky city at the top of a list of positive health care trends? If the University of Louisville (U of L) Institute for Sustainable Health & Optimal Aging gets its way, Louisville will soon be the optimal aging capital of the United States. In 2013, 44.7 million Americans were age 65 or older, and that population is expected to increase by 21.7 percent by 2040, according to the Administration on Aging. It’s no secret that healthcare usage and costs increase as people age. But Institute Medical Director Christian Furman, MD, MSPH, AGSF, says the implications are larger than just caring for an aging population. “If we can figure out the best care model for the older person, it’s the best model to optimally age for everybody,” she says. A decade ago, U of L Geriatrics set out to raise the profile of the specialty of geriatrics. Through a strategic planning process and the creation of an advisory board, a vision emerged for a center on aging that would bring all disciplines together to improve care. Mary Romelfanger, RN, MSN, CS, LNHA, associate director of the Institute, was a member of that advisory board. She and then Department Chair James O’Brien, MD, were tasked with launching the idea of the Institute in March 2013. In the fall of 2014 their proposal was approved, and the Institute for Sustainable Health & Optimal Aging was born. When O’Brien retired, the Institute tapped Faul to broaden their approach. 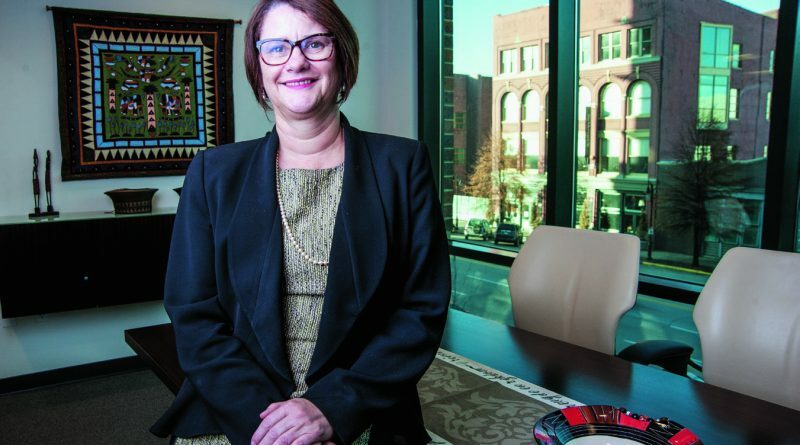 Born in South Africa and a clinical social worker by training, Faul came to the U.S. in 2000 and is currently the associate dean for the Kent School of Social Work at U of L. Her research in gerontology led to her being appointed a Hartford Geriatric Scholar, which afforded her an opportunity to hone her aging focused research skills. She has been awarded 16 awards for excellence in teaching, mentorship, and research, has published 65 peer-reviewed articles and book chapters, and has presented over 145 peer-reviewed national presentations. She is also a fellow of the Society for Social Work and Research, is a member of the governor’s Council on Alzheimer’s Disease and other Dementing Disorders, and recently has been appointed a board member of the Health Enterprise Network. She is currently leading a transdisciplinary team of doctors, nurses, social workers, lawyers, and community service providers in promoting a coordinated care model for older adults under a U.S. Department of Health Resources and Services Administration (HRSA) $2.5 million dollar grant. In medicine, care models are often referred to as multidisciplinary or interdisciplinary, but Faul champions the term transdisciplinary for the Institute’s model. 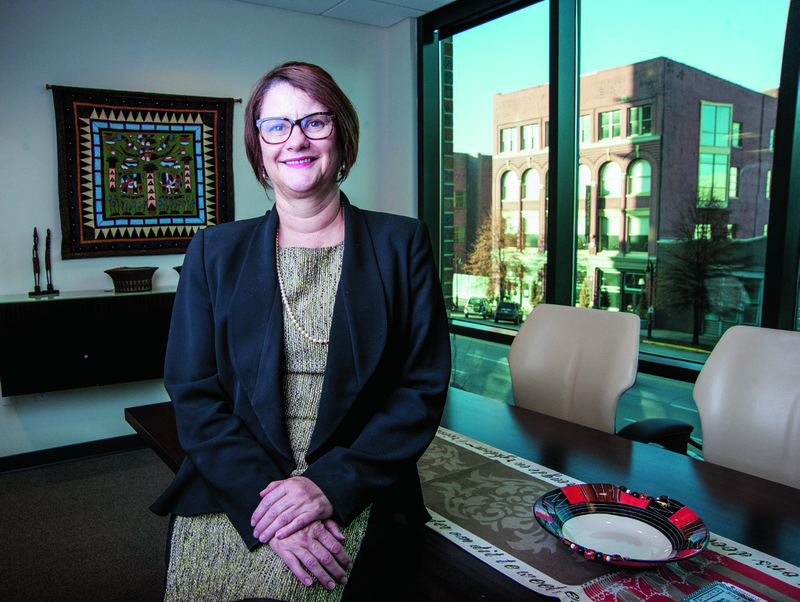 “Transdisciplinary is where we really start to blend, where I as a social worker can see something wrong with a person’s medications and can alert the pharmacist or the doctor, and the doctor can alert me to say my patient doesn’t have a way to get the right food, or my patient is depressed and needs counseling,” says Faul. Furman, who is a geriatrician and palliative medicine physician as well as a professor and vice chair for Geriatric Medicine at U of L, contends that while all physicians have their patients’ best interests in mind, not all physicians are trained in what is best for older adults. “Just because you take care of older people doesn’t mean you treat them the way a geriatrician would,” she says. One example she cites is the Foley catheter. “Everybody thinks the Foley catheter is great, but really you’re causing infection, you’re causing delirium, you’re making it worse. Until you know that, you think you’re helping patients,” says Furman. Ultimately, Furman contends that putting systems in place to help older adults succeed in the healthcare setting, such as preventing falls, preventing infections, addressing polypharmacy, and focusing on advanced care planning, are beneficial to all patients. Romelfanger, who has a master of science in gerontological nursing and experience as a case manager for the aging population, says one of the challenges for older adults is transitions in care. “The person who is transitioning from pre-hospital to hospital to post-hospital care moves through all of those different systems, but the individual provider housed in each of those systems doesn’t have to move. So it’s very difficult to get the whole picture of what the person has experienced and understands,” Romelfanger says. Hospitals and hospitalists have improved efforts to prevent readmissions, particularly now that they are penalized for them, but Romelfanger says the primary care piece is still missing. “CMS (the Centers for Medicare and Medicaid Services) and DHHS (the U.S. Department of Health & Human Services) have announced a series of awards for improving transitions of care through the primary care system. We just submitted one of those grants with key providers in state,” says Romelfanger. In its effort to develop a coordinated, transdisciplinary model of care for older adults, the Institute focuses on four main pillars: 1. Research, 2. Innovation, 3. Education, and 4. Evidence-based practice. The Institute builds on the university’s priority of translational research, promoting research from bench to bedside to community. While we all know what we should be doing to be healthy, the Institute addresses the question of how to make that happen, especially in areas of the state where resources are lacking or difficult to access, and from various disciplines. A Geriatric Workforce Enhancement Program funded by HRSA to develop a model of care that connects primary care teams and community teams with a community health navigator in the middle to create comprehensive care plans and connect primary care physicians to community resources. The community teams could include community health workers and peer mentors trained by the Institute to provide health coaching, pastors, businesses, social workers, nutritionists, and social service agencies such as the local Area Agencies on Aging. Veggie RX, a project where physicians prescribe a share of fresh fruits and vegetables as an alternative or an adjunct to medications. The project is funded by the Humana Foundation, and the fruits and vegetables are provided through Fresh Stops, a local community-run program through New Roots, a non-profit organization, where people buy shares of fresh fruits and vegetables provided by the local farmers. This initiative will soon be expanded to an ExerciseRx program with a similar goal of supporting older adults’ efforts to live healthy lives. The Age and Disability Friendly City Initiative, in conjunction with the City of Louisville, is an effort to create a supportive living environment for older adults by encouraging active aging through the optimization of opportunities for health, civic participation, and security. The Institute is also a resource for academics or businesses wanting to do research who may need older adult participants. A participant registry at the Institute allows older adults to become participants in research projects and have a voice in any new initiatives involving their health and well-being. With the concentration of age-related industries, the Institute is looking to partner with local businesses to develop products that help people age optimally in their own homes. One such project is a collaboration with U of L’s J.B. Speed School of Engineering to develop a toilet that can track weight, do a urinalysis and send data to healthcare professionals to help monitor markers of health in older adults from their homes. “One of the main goals at the Institute is innovation and sustainability. How do we begin to look at providing medical care in a different way that can be innovative and sustainable and not drain us of all our resources?” says D’Ambrosio. True to its promise to bring all disciplines to the table, the Institute has 13 social work students doing internships and is working with geriatric medicine fellows, medical students and nursing students from U of L, physical therapy and exercise physiology students from Bellarmine University, and pharmacy and physician assistant students from Sullivan University. For physicians and healthcare providers, the Institute acts as a continuing education resource. One program that began as a grant from the Reynolds Foundation that the Institute is now housing is the Chief Resident Immersion Training (CRIT) in the Care of Older Adults. “What they figured out nationally is that if you train the chief, they train the medical students and the residents and they train the faculty, so the dissemination goes both ways,” says Furman. The two-day program teaches leadership skills as well as care for older adults. In June 2016 the Institute plans to include the CRIT program as a pre-conference session to their national conference on Optimal Aging & Sustainable Health. As part of the Geriatric Workforce Enhancement Program, the Institute teaches geriatrics to the healthcare workforce in rural areas of the state. “CMS is starting to figure out there will never be enough geriatricians,” says Furman. “Instead of training geriatricians, let’s train everybody to know how to take care of older people.” The program provides patient-centered education modules on subjects such as dementia, end of life care, polypharmacy, and how to work with a transdisciplinary team. There are myriad options for physicians to take advantage of the Institute’s educational opportunities, such as online modules, teleconferencing, visiting professorships, fellowships, and practice transformation assistance to facilitate care coordination. The Institute is also positioning itself as the go-to resource to connect physicians with geriatric specialists and resources in their own area. A statewide health coalition, with nine counties participating so far, is already underway, with the goal of providing comprehensive information about all geriatric resources in each county. Every project that’s done at the Institute by staff and students is done after review by the university’s Institutional Review Board (IRB) as a research study, so the evidence is in place to support the practice models they are promoting. “We are trying to infuse the geriatric practice here at U of L to become more of a care coordination practice,” says Faul. Another of the grants that they are applying for would be used to transform 15 primary care practices, from U of L Physicians and KentuckyOne Health, into care coordination practices. These practices would be given a practice transformation coach and become part of a large community support system to help patients be healthy and improve outcomes. The hope is that the work done with grants like this one provides the evidence to start changing the mindset of all healthcare providers. The Institute is off to a blazing start, but there are still many aspects that will take time to develop. “It’s like a gear turning very slowly. The way we offer medical care to the public has to change. It costs too much; it’s not efficient. The models we’re promoting here at the Institute are coordinated care models where the medical team becomes a part of a bigger team that reduces the burden to physicians,” says D’Ambrosio. Physicians know that prevention and wellness efforts are integral to improving the health of patients, and it seems the Institute’s message to physicians is simple – you don’t have to do it alone. “Our job at the Institute is to help physicians throughout the state with the education and resources to be able to care for older adults. It’s really exciting that we are leading the discussion on a national stage and that the Institute together with their partners are already successfully implementing a new model of care for older adults,” concludes Furman.